BendPak recognizes the manufacturing process as our moment of maximum influence. When we ship a unit, we need to know that the product leaving our manufacturing complex is the best it can be. That's why we demand nothing short of the very finest in facilities and machinery. In 2006, we opened a brand new 300,000 square foot facility designed for maximum efficiency and safety, where we employ the best steel fabrication techniques in the world. BendPak car lift manufacturing processes are centralized in order to deliver cutting-edge technology and unprecedented quality control. 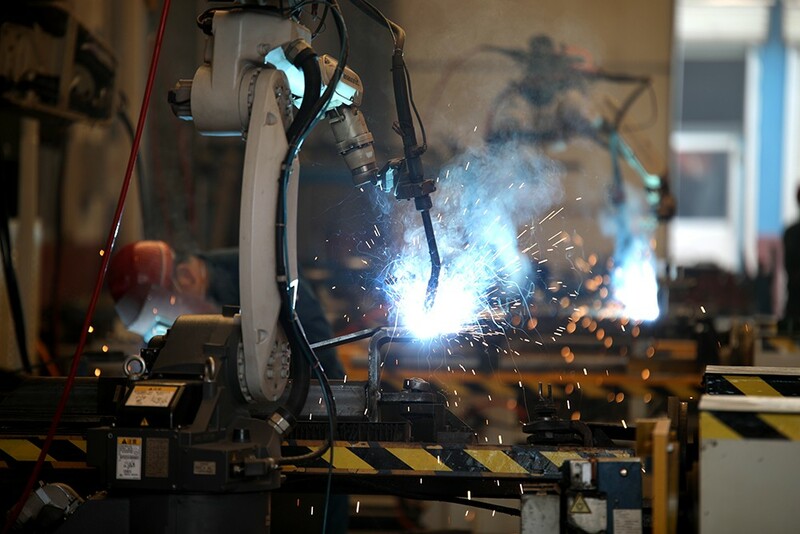 All of our manufacturing facilities utilize efficient, state-of-the-art processes to serve our customers' needs in the most cost-effective way possible. Companies that want to be competitive in an increasingly global marketplace must have a global outlook. BendPak continually seeks opportunities to strengthen our existing presence in the global arena, as well as set world-class standards in everything we do. Our multi-department manufacturing complex has allowed us to expand machinery and employees and triple our daily production numbers. All BendPak employees are Q.C. trained and follow rigid ISO-9001 guidelines. Every day, more than 700 employees around the world dedicate themselves to putting our core values into action. Safety is first—it's our company's top priority, followed closely by environmental responsibility, cost-efficiency, quality, customer service and accountability for all departments. These principles guide our highly skilled workforce toward BendPak's unified vision. BendPak is a true leader in both process and product technology. That's why we have three research and development facilities dedicated to advancing the boundaries of automotive service lifts and parking lift technology. Our research and development divisions are the true catalysts for innovation, providing our specialized R&D personnel with the support they need to explore design opportunities and potential avenues through which to deliver superior products to the consumer. All HD-Series lifts feature a durable powder-coat finish that gives the metal a high-quality, extremely durable finish that can withstand even the harshest environmental or chemical conditions. 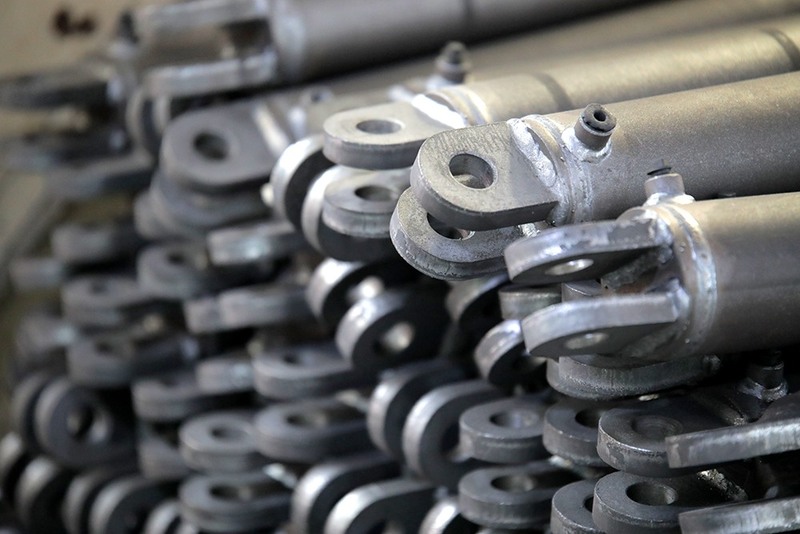 Unlike other companies that claim to powder coat, we take pride in our meticulous 10-step process. First, all parts are visually inspected before being sandblasted. Afterward, the parts are washed in our 5-stage phosphate tanks that can accommodate parts up to 25' long. Once cleaned, they're immediately dried (to avoid rust production) and outgassed. Outgassing pre-bakes the parts in a curing oven, reducing the possibility of blemishes that may hide in the pores of the metal. If not properly outgassed, imperfections in the metal may bubble during the curing process and cause chips in the powder. After the parts are washed and outgassed, any surfaces and/or threaded holes that need to be masked or plugged are done so with high-temperature masking tape and silicone plugs. Next, the parts are given a quick thinner wipe to remove any light debris or fingerprints before being hung on an electrostatically grounded conveyor line. The powder is finally applied using an electrostatic spray gun. The powder “sticks" to the surface in a fashion similar to how dust sticks to a television screen. 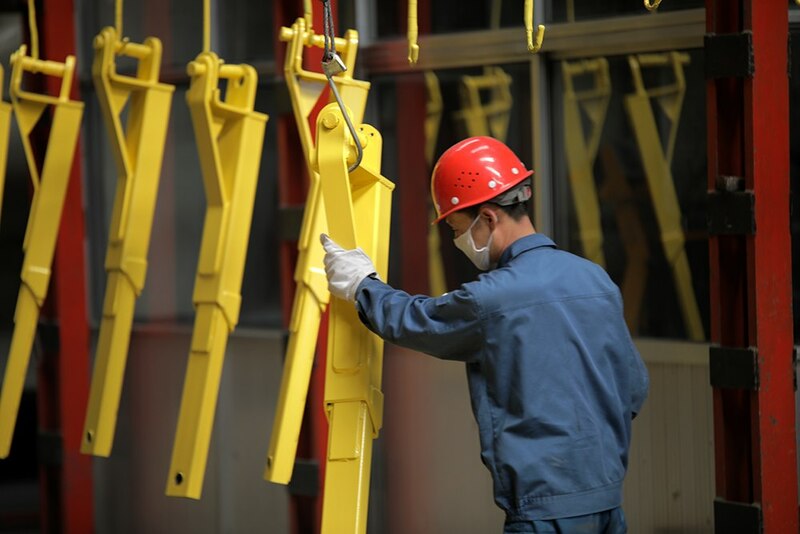 Once the parts are powder-coated, the carts are rolled into our curing oven and baked at 400° F for 45 minutes. Reliability, accuracy and durability are the hallmarks of all our products. BendPak follows stringent quality control measures at every level of manufacturing, facilitating a smooth and efficient operation. We are the perfect blend of ultra-modern machines and an excellent workforce, enabling us to deliver safe, well-built products made from the best materials. All of our manufacturing facilities employ top-notch metallurgy equipment, such as tensile testing machines, impact testing machines, metal hardness testers, Brinell hardness testers, Rockwell superficial hardness testers and Vickers hardness testers to ensure all materials meet or exceed worldwide standards.